Next month new bankruptcy legislation will is due to be passed by the Irish parliament. The hugely important new bill looks set drag Ireland’s laws insolvency kicking and screaming into the 21st century, creating a vital escape route for struggling debtors. The Personal Insolvency Bill, the most ambitious legislation to date from the current Government, is completing a lap of the Oireachtas before being passed into law next month. It could provide relief to hundreds of thousands of mortgagees, debtors and struggling borrowers, and help drag the country out of an economic slump, but according to some: only if banks get on side. The bill provides three legal mechanisms that will give borrowers more breathing room and will drop the bankruptcy period from 12 to three years, making bankruptcy a more attractive alternative. A Debt Relief Notice (DRN) will allow for unsecured debts of up to €20,000 to be written off after a three-year period, assuming the borrower has no assets, no disposable income and no way to realistically pay of their debt. 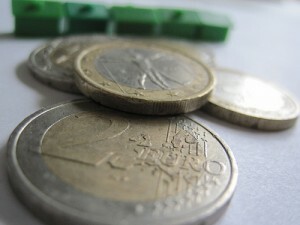 The second mechanism is a Debt Settlement Arrangement (DSA) for unsecured debts over €20,000, where the borrower pays an agreed-upon amount following providing for a reasonable standard of living. The debt is then written off after no more than five years. A Personal Insolvency Professional or PIP will facilitate and agreement to this effect between the borrower and lender. A Personal Insolvency Arrangement (PIA) for secured debts up to €3m will also be an option for mortgagees and will require an agreement between borrowers and lenders over a repayment scheme lasting no more than six years. Of course this is all dependent on how willing the banks are to cut deals with their borrowers. Historically, banks have not shown any support towards debt relief. Their mantra seems to revolve around extracting as much from their borrowers for as long as possible. Last September, Bank of Ireland CEO Richie Boucher, revealed to the Finance Committee that not a single cent of the €5bn provided by the people of Ireland to his bank had been yielded to any borrower. Banks and organisations supporting borrowers claim that a lot of mortgage-related stress could be solved by eliminating debt problems connected to the credit card and personal loan. This makes all three of the aforementioned mechanisms crucial to solving the mortgage crunch. The bill could not come any sooner. The extent of the crisis is highlighted by Central Bank data that suggests about 90,000 Irish mortgages are in arrears of 90 days or more. Compounding this startling statistic are more than 40,000 mortgages that have been restructured by the banks to put borrowers on a short interest-only period. The interest is getting paid but the problem hasn’t budged. Add these two together and you have nearly one-in-five of all mortgagees, about 350,000 people, wrestling their debt instead of investing their hard-earned euros into the local economy. The domino effect of this means local businesses shut down, unemployment rates skyrocket, and entrepreneurs struggle to create new jobs. Therefore, this legislation is crucial to the country’s economic recovery. But still, the danger that banks will continue to stifle debt relief is very real. They maximise profits by keeping their borrowers on repayment schemes for as long as possible and would probably do it forever if they could get away with it. Fortunately, the reduced bankruptcy period that will come into effect next month is a viable way for borrowers to combat banks who refuse to engage with them or PIPs. It would take some courage. After all, bankruptcy means losing your assets and property. But three years is an infinitely more manageable sacrifice than the current 12. A united front by the thousands of struggling Irish mortgagees would leave banks up the creek. It would free thousands of citizens from their debt cages and leave banks with considerably less than if they had played ball. Thousands of Irish citizens desperately need a tonic like the Personal Insolvency Bill. Only time will tell whether it will live up to it’s potential.